For Say Sam Al, Cambodia’s environment minister, it all started on the night of July 28, 2013. National elections had been held that day, and he was, at the time, a public affairs official at the Council of Ministers. For his party, in those evening hours, things were not looking good. “I was driving back from Kompong Cham to meet Chea Sophara, to meet Samdech Heng Samrin,” he said, speaking of senior ruling party politicians—who, like him, were on the list to become lawmakers in the province—gathering in Phnom Penh to await the ballot results. It was this supposed middle class and its demands, he said, that set his course for the years to come—he leapfrogged department directors and secretaries of state to become one of a few new faces appointed to Prime Minister Hun Sen’s cabinet after the election, along with the education, finance and commerce ministers. The newly affluent would expect basic services: sewage treatment and clean streets. Those in rural areas were sick and tired of illegal logging, land insecurity, and their lifestyles and livelihoods being lost along the way, he said. These were the challenges he had in mind when, three years later, he and a team of lawyers drew a map that put 40 percent of Cambodia’s land—about 7.3 million hectares—under the jurisdiction of his ministry. Watching the progress of Cambodia’s Environmental Code—termed by those drafting it as the most “dramatic piece of human rights legislation ever enacted in Cambodia,” setting up new grievance mechanisms and new management systems for protected areas while drawing millions of additional hectares of land under the Environment Ministry—an obvious question arises: How is Mr. Sam Al getting away with it? Another question, perhaps the one that should be asked first: Can Mr. Sam Al get it done, given the government’s remarkable track record of allowing the environment—forests, rivers, lakes, mountains—to be destroyed for profit? An important factor to answering these questions is his father, Say Chhum, one of the most powerful politicians in the country as the vice president and secretary-general of the ruling CPP, and president of the Senate. Mr. Sam Al has made powerful enemies since becoming a minister, he claims, but someone with his pedigree is unlikely to be found floating face-down in the Tonle Bassac. The Code has been in the works for more than four years, going through several drafts before finally being completed last month. Amid the hype from Mr. Sam Al and the attorneys working with him, there are some who are hesitant to celebrate. Bun Thai, a monitor for rights group Licadho in Ratanakkiri, has pointed out that indigenous communities, long deprived of the communal land titles they are entitled to, would only be permitted to co-manage their land together with the ministry. “If I buy a moto and you—the state—can take it back anytime you want, well, it’s not really my moto. We’re just borrowing land from the state,” Mr. Thai said. For Mr. Sam Al, however, the Code is an attempt to realize the will of the people. Elections are coming, after all, and illegal logging and land grabs by the powerful have been smeared across the newspapers for years, dragging well-known names through the dirt, repeatedly and often for good reason. There’s another possibility, however—that the window of opportunity to protect the environment is opening only because it has been plundered to the point that the financial gains are finally outweighed by the political damage. That the real reason Mr. Sam Al has been granted such a long leash to stop the bleeding is because the loot has already been stolen and sold off, with money resting safely in the bank. 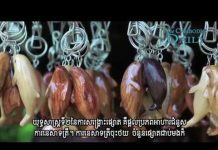 Rangers in Ratanakkiri’s Virachey National Park, perhaps the hardest-to-access corner of Cambodia, said as early as mid-2015 that all kra nhung, the Siamese rosewood that sells at tens of thousands of dollars per cubic meter, was gone. Thnong and beng—two other luxury-grade species—soon followed, they said. And while rural residents of the north still cut down second- and third-tier wood—some going for hundreds of dollars per cubic meter—it becomes harder and harder to imagine the tycoons Mr. Sam Al claims to have staved off, Lim Bunna and Try Pheap, wasting time and resources chasing more timber. 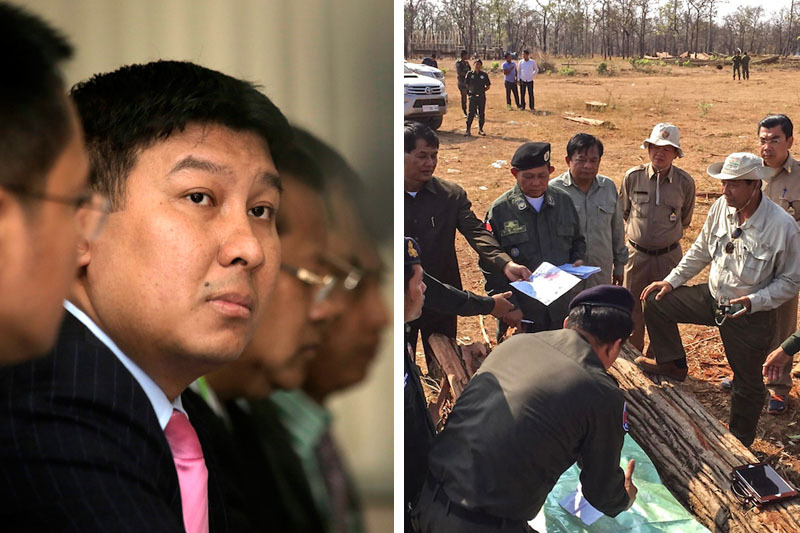 Mr. Pheap, for one, claims to have exited the timber business and has diversified into construction, petroleum, motorbikes, pepper farms, rubber plantations and hotels. Yet if Mr. Sam Al were merely laying claim to unprofitable tracts of forest, it would be hard to explain why rival government agencies are trying so hard to claw them back, or hold on to what they have. The mandate of the Forestry Administration (FA)—part of the Agriculture Ministry—was tattered by administrative changes last year. A jurisdictional swap saw the Environment Ministry take over all protected lands in Cambodia, and the Forestry Administration received, in return, oversight of economic land concessions (ELCs)—massive tracts of land leased to companies ostensibly for industrial-scale agriculture projects. In announcing the trade, Mr. Hun Sen delineated roles: The Environment Ministry would focus on conservation, and the Agriculture Ministry on investment. But with the government having launched a crackdown on illegal logging since last year—a campaign impressive in rhetoric but without any arrests to show for it—and a freeze on the granting of new ELCs in effect since 2012, managing agriculture “investments” has lost much of its luster, whether revenue comes through the collection of fees for inspections or from the widely acknowledged regime of kickbacks and bribes paid by illegal logging syndicates. It’s something that hasn’t gone unnoticed by conservation NGOs and those who work with the department. One answer is to grab the land back, using any means available. The Environment Ministry was given control over protected areas, ranging from wildlife sanctuaries like Kompong Speu’s Phnom Aural to national parks, like Ratanakkiri’s Virachey. But within these protected areas live indigenous communities who rely on the forest for their livelihoods—harvesting products such as wild honey and yellow resin to varnish boats. To ensure the protection of these forests, communities are allowed to apply for community forest titles. That process is under the control of the Forestry Administration, and, as late as February of last year, attempts to get a title were expensive, laborious and often futile. Village chiefs and minority advocates in Mondolkiri, having applied for titles for years, said the administration preferred to give land to concessions and companies that would offer more revenue. But a sudden breath of will—or maybe wind from the coming Code—seems to have shuffled the stack of old applications. Contacted earlier this month, Chheng Kim Sun, director of the FA, said that his administration planned to register 2 million hectares of community forests by 2029—whether communities had applied for them or not. “Some areas—we think they are not requested by the protected community, but we think that they could be potential forestry areas,” he said, explaining that the FA would register those as well. It’s unclear yet if Mr. Kim Sun’s hopes will come to fruition. Prum Sovanna, a former employee of the FA in Mondolkiri now at the Environment Ministry, said the FA was trying hard to stake its claims in the province. However, he said, community forests in protected areas would probably move to the Environment Ministry’s jurisdiction under the new Code. And outside of protected areas, he said, the FA would have little left. “They’re not happy with the new arrangement,” he added. If existing legal means—like registering protected forest land back under the Agriculture Ministry’s control—fail, there is always the alternative of writing new laws. In late December, a month after the final workshop of the Environmental Code, the Agriculture Ministry announced that another law was ready for workshops: a draft Agricultural Land Law. The law is vaguely framed, contradictory to the Code and equally broad. 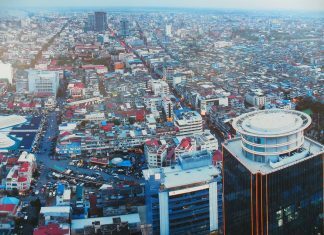 Certain provisions of it, according to attorneys who attended the workshop, allow any land in Cambodia to be declared “agricultural land” and put under the power of the Agriculture Ministry. Once declared “agricultural land,” the ministry would evaluate the land based on its soil quality and other characteristics to determine how best it should be used—cleared for cattle grazing, for example, or logged to be planted with sugarcane. Civil society groups representing about 2,000 Cambodian farmers boycotted the workshop. Farmers who attended it expressed terror: The law said, among other things, that they would be fined and their land seized if they didn’t follow land-use plans drafted by the ministry. As vague as the draft law was, Agriculture Minister Veng Sakhon promised at the time that farmers had nothing to fear. NGOs had educated people “unclearly,” he said. Meanwhile, protected land under the Environment Ministry would remain protected land, he promised. The biggest complaint from farmers was the speed of the process. They had been given almost no time to discuss the law or understand how it would affect their lives. Complaints sent to the ministry have gone ignored as workshops and draft sessions barreled on. Suddenly, just 12 days before the Environment Code was due to be finished, it seemed that the Agriculture Ministry was determined to rush its law, too, to completion. With the ruling party heading into a tense series of elections—commune elections in four months and the all-important national election a year after that—the CPP’s official line is that everyone in government is getting along just fine. But elections are cyclical, while the land will remain. The veneer of calm may be but a brief respite in an ongoing power shift. For Mr. Sam Al, the Agriculture Ministry and what it stands for are remnants of the party’s past. “For our team here, we represent the younger generation of the CPP,” he said late last year, gesturing around the opulent new headquarters of his ministry, inaugurated last year. Mr. Sam Al’s vision of the future is catchy and clean, based on skilled industry, not agriculture. Cambodia will make “computer chips,” not “potato chips.” He questions if rubber, a mainstay of industrial planning, is a viable option. So if he has his way and the Environment Code comes into force, will the land stay protected? “Only God knows,” said Mr. Sam Al, in an interview in November.